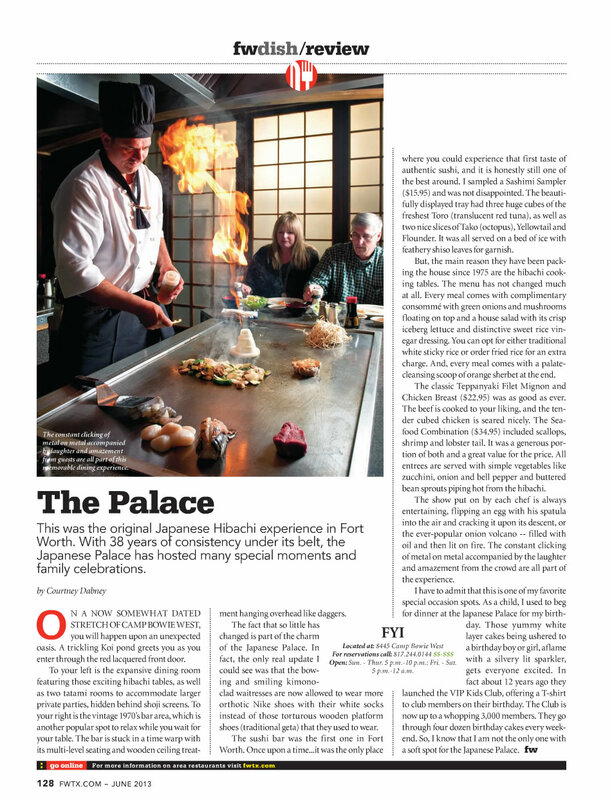 Above is a review of Japanese Palace that was in June 2013 issue of the Fort Worth Texas Magazine. Copyright © 2015 Japanese Palace. All rights reserved.